Diabetes is a chronic illness that requires a holistic approach in terms of care to prevent both acute and long-term complications. Nutritional management for diabetic patients has been evolving for 100 years as the pathophysiological basis of the complications incurred from diabetes becomes more explicit. Medical nutrition therapy is extremely important for diabetic patients and prediabetic patients so that adequate glycemic control can be achieved.Nutrition counseling should be sensitive to the personal needs of the patient and how much effort the patient is willing to put in to making the change to eating appropriately. Medical nutrition therapy for diabetics can be divided into (1) dietary interventions and (2) physical activity. Lifestyle and dietary modifications form the cornerstone of therapy in type 2 diabetic patients (insulin resistance). 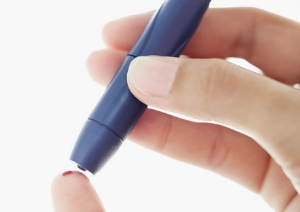 In type 1 diabetic patients, who have an insulin deficiency, a balance between insulin and nutrition needs to be obtained for optimal glycemic control. All office hours by appointment only. Call for all in office appointments.